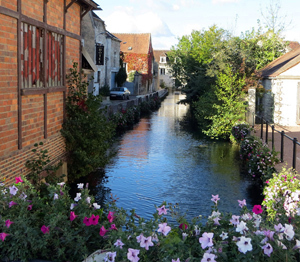 This wine review update includes a really nice Italian, dynamite Southern France red, and an affordable, dependable New Zealand Sauv Blanc. Piancornello 2009 Rosso di Montalcino – This Sangiovese based wine from Tuscany’s Montalcino region delivers for the price point. I like Sangiovese and enjoy most Italian wines. So many of the cheaper Chianti wines are harsh, unbalanced, and overly acidic. For Italian novice wine fans, the Rosso Montalcino is essentially the table wine of the great Brunello region. I found the wine smooth with dark cherry, berry, and earthy characteristics. This is great red wine for pasta. This is also a wine that you can find anywhere from $14.99-$23. Robert Parker gave the Rosso 90 points. I’d also add for those who have a hard time tracking down particular wines, look for a Rosso di Montalcino. They are affordable and in many ways better than a Chianti at the same price point. Piancornello 2009 Rosso di Montalcino, $21.99, Recommended. 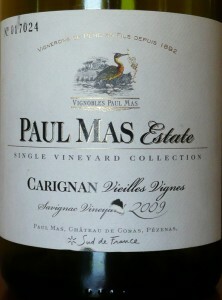 Paul Mas 2009 Carignan Vieilles Vignes – This is great wine from Southern France. I’m really falling for Languedoc wines and particularly 100 percent Carignan. The grape is a bit of a rascal. It can be fickle for growers and can be quite tanninic and acidic. The wine has a real terroir-driven taste. You get a mouthful of dirt with this southern French grape. There is really dark fruit like plum and spice like cinnamon. This is dry red wine that provides wine drinkers something really different. The alcohol is in check with this wine at 13.5 percent. The richness of this wine comes from Carignan vines that are more than 50 years old. If you want to try something different at an affordale price point, look for some 100 percent Carignan from Southern France. The Sauv Blanc is a little lighter bodied than many and certainly not quite as acidic. There is good acid on the finish but not what many would be looking for in a traditional Sauv Blanc. Tasting notes I found online talked about flavors of gooseberry, which I can’t deny, but I get typical crisp lemon and grapefruit citrus. This is a great choice for about any seafood. Fire Road 2011 Sauvignon Blanc, $11.99 at Cork & Cracker, Recommended. Can be found as low as $9.